As the ETF industry continues to grow at a dizzying pace, the universe of options for investors is expanding. While that creates plenty of opportunity to diversify, it does create a challenge in comparing ETFs: those who go beyond fees and want to gauge performance may not find it so simple. That challenge actually goes beyond single-ETF investing. The sheer variety in ETFs and indexes has allowed the creation of ETF portfolios — pre-packaged mixes of ETFs that are formulated according to investors’ goals, timelines, and risk tolerance. Some are standardized to suit broad groups, while others are tailored to specific investors. “[B]ecause the firms involved in this burgeoning business face few rules when it comes to reporting performance data to potential clients, side-by-side comparisons of portfolios can be difficult, if not impossible, for consumers,” wrote Wall Street Journal reporter Asjylyn Loder. The model portfolio industry, reported Loder, is so opaque that there’s no consensus on its size. “We’re capturing just the tip of the iceberg,” said Ben Johnson, Morningstar’s director of fund research. While the firm counts over 1,200 ETF managed portfolios with a cumulative AUM of nearly US$122 billion, he said the majority of the money managed in such models isn’t being reported. 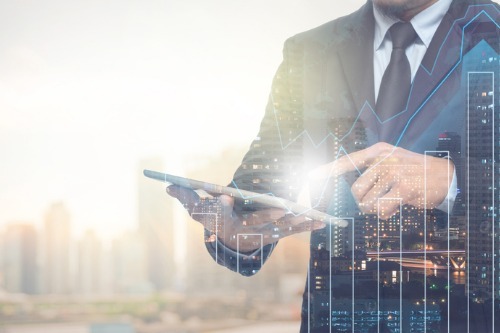 Another estimate from fintech firm Broadridge Financial Solutions, based on an algorithm that identifies clusters and patterns in fund ownership, estimates that there’s nearly US$355 billion placed in ETF models. While individual ETFs are very transparent when it comes to information on holdings, strategy, and performance, that changes when they are combined into a model portfolio. Following decades-old rules on advisor advertising, the US Securities and Exchange Commission (SEC) lets firms showcase performance as long as it isn’t false or misleading, but disclosure isn’t compulsory. One effort to shed more light on the industry comes from Backend Benchmarking’s Robo Report. Initiated by Ken Schapiro four years ago, it tracks the performance of strategies offered by robo advisors, among other things. After he released the first issue of the report, two robo advisor firms closed his accounts. One firm, Wealthfront, said it shut down Backend’s accounts because it believed that the methodology the firm used is inconsistent, misrepresenting results in one instance; the other, Vanguard Personal Advisor Services, explained that the portfolios it creates are tailored to each investor’s needs. There may be something to that. John Grady, a partner at Philadelphia-based DLA Piper, said advisors are hesitant to advertise performance of portfolios since they have varying degrees of customization. While some rely almost totally on ETFs, others include mutual funds or individual stocks. Some try to minimize taxes, while others offer a “glide path” of decreasing risk over time. Not all firms report results; those that do don’t follow one accounting standard. Until that happens, Johnson stressed that investors should do research on the products they’re buying; those with advisors, who typically have tools not available to individual investors, should ask for an explanation of how a particular strategy has performed compared with peers, and whether results reflect all fees.